Organisations regularly put in place Business Improvement initiatives (see PJ Stevens' BIN article). Focusing on organisations only (not Business Improvement Districts), these typically support the delivery of short to medium term value adds, where there may be an initial positive return on investment identified, but the return is not maximised. Profits absorbed by in year financial pressures, shareholder returns or benefits are not sustained when the key individual(s) driving the strategy and return on investment exit the department or organisation and momentum is lost. These pitfalls are somewhat inevitable and frustrating in the VUCA (volatility, uncertainty, complexity and ambiguity) environment organisations and individuals live in today. How can an organisation better ensure that the one or many business improvement initiatives that they originally embark upon will have a sustained impact? The answer often lies in reinvestment. Research suggests that organisations should look to evolve at a minimum every 2 years*, or face the reality of being left behind in their chosen market. By continually reinvesting benefits, from a single or a collection of business improvement initiatives; for example into employees, improving capabilities or technology, or diversification of products and services, the return on the initial investment can be multiplied several times. Examples include from the basics of sustaining lower costs for existing services, to new revenues in new service streams, efficiencies in processes, and identification of small and large scale innovations to name but a few. Case study example; A privately owned organisation had successfully won and managed large scale long term public sector contracts for over 15 years with minimal market competition. A change in government legislation meant that smaller scale shorter term contracts were to be awarded opening up greater competition and exposing their lack of focus on profit or being lean. Very quickly the behaviour of the organisation has to adapt and look to change their core business processes. To be competitive, the business is under significant pressure to reduce costs across all areas and focus on core services, which inevitably impacts on employee engagement. They selected the best fit resources and capabilities to identify and deliver both in financial year and sustained savings. The real benefit seen by the organisation was not just to bank the immediate savings, effectively fooling themselves into believing all is well again until they have to follow the same process again next year, only to find the core challenges have now deepened. Instead the real benefit to both parties was to separate the immediate and annualised savings, and align a proportion to a longer term strategy and reinvestment in a Procurement structure and supporting contract management and sourcing technology. A newly assigned procurement lead is collaborating with existing department specific and/or technically skilled employees as category champions across the organisation, coming together to drive a roadmap and culture of group wide and departmental continuous improvement, identifying and delivering new Business Improvement initiatives, lean processes, risk mitigation strategies, cost savings and innovations – all of which would not have been identified or delivered, maintaining initiatives that may have collapsed without resource or impetus after the original support departed, improvements in employee engagement and increased experience and knowledge across the organisation. All these improvements link together, and back to the initial need for the business to be lean, greater self-sufficient and constantly evolving as the ongoing internally identified and continuous Business Improvement initiatives are supporting the business win contracts – and profitable returns - they would have been uncapable or uncompetitive to win without the initial reinvestment and transformation strategy. Every organisation has its own culture and business priorities, but for those organisations looking to maximise the countless Business Improvement initiatives, they would do well to consider the return on (re)investment into their business plans and budgets. 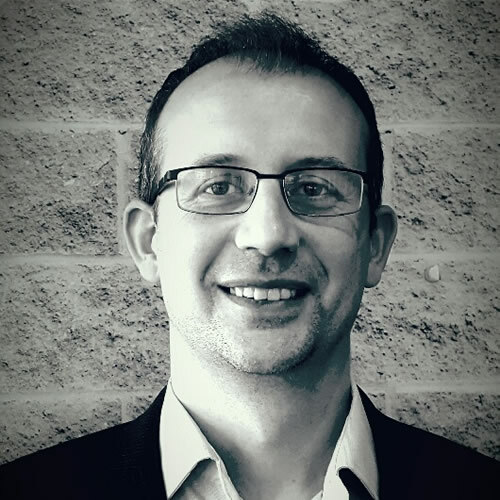 James Ball has 20 years procurement, supply chain and operational experience via blue chip organisations and consultancy services. James is also an avid Squash player while the legs and lungs still allow for it!